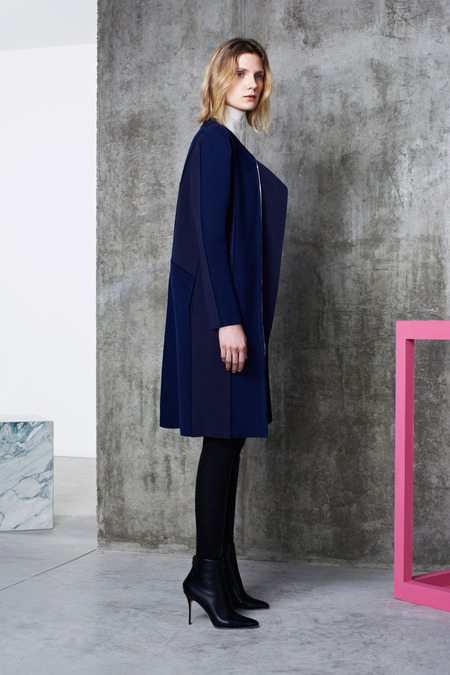 Pringle of Scotland’s Pre-Fall 2014 collection opens up with a white turtleneck underneath a marine blue argyle sweater, with shades of dark blue and tiny cutouts formed into diamond shapes. The sweater was paired with an unusual white knitted skirt, which had asymmetric hems finishing’s and small circular cutouts. 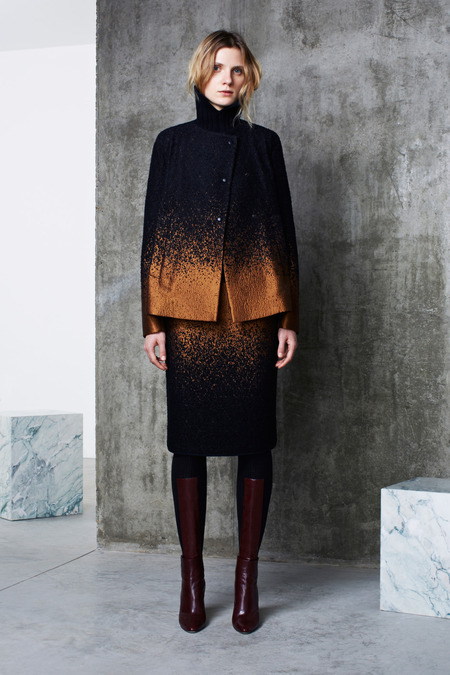 Other looks included exceptionally structured pieces such as tailored suits with strategically splattered paint on it. This particular suit had a high mandarin collar with a pencil skirt. 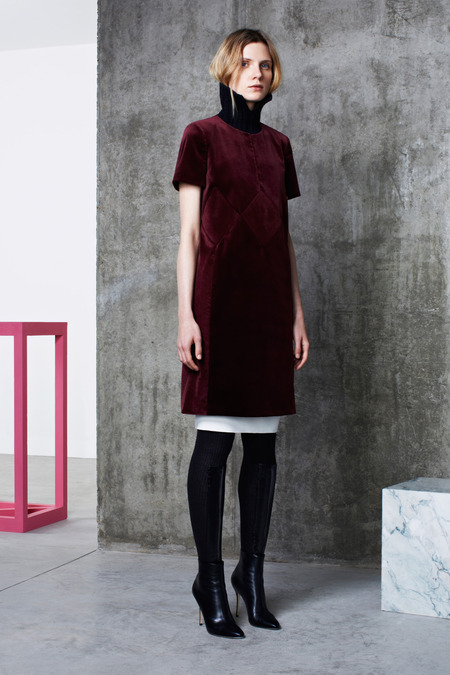 Other designs encompassed the same asymmetric hemlines, fused with pants, knee-high boots and ankle boots.We see dark hues like burgundy, blues, purples, and browns with touches of white. The choice of fabric complemented the designs well while the various color palettes in suede, knits, and wools have set the tone for the collection. 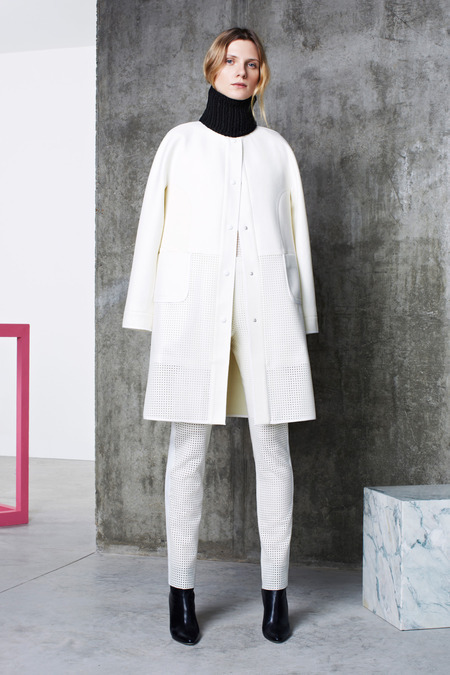 Pringle of Scotland is known for playing with fabrics, textures, symmetry and shape to create a contemporary and chic look. 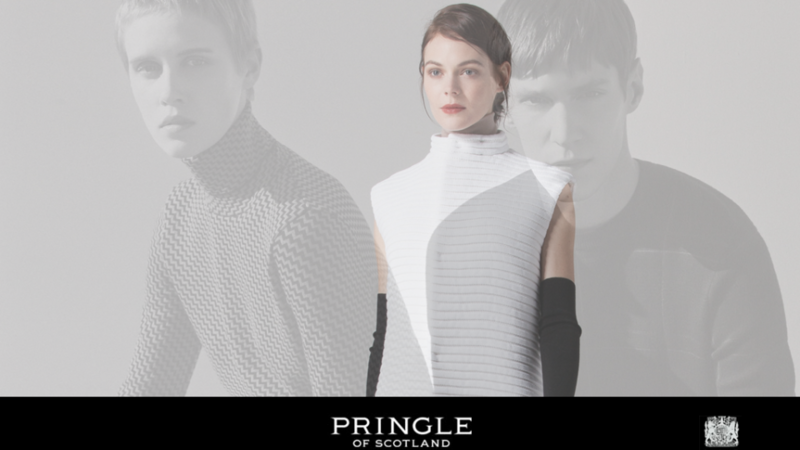 Pringle of Scotland has been worn by icons such as Madonna, David Bechkam, Nicole Kidman, Claudia Schiffer, and Grace Kelly. However because of a financial setback, the brand hasn’t been as prominent as before. With a much needed update though the brand has evolved to slowly reclaiming their place in fashion. Although their usage of structure and asymmetry is often seen in other high-end designs, it is done so effortlessly in this collection. 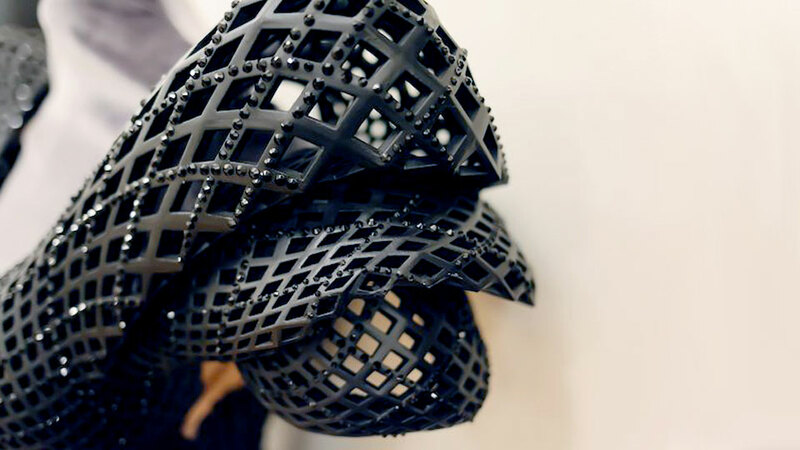 With the subtle use of theatrics, we’re reminded that each fashion design is truly a piece of art.